Imagine a world coloured by ice and fire, carved by hurricane-force winds, weighted by glaciers, and teeming with wildlife perfectly adapted to freezing conditions and winters of perpetual darkness. Experience the beauty of wild white blizzards and fire-red sunsets reflected in a glassy sea. 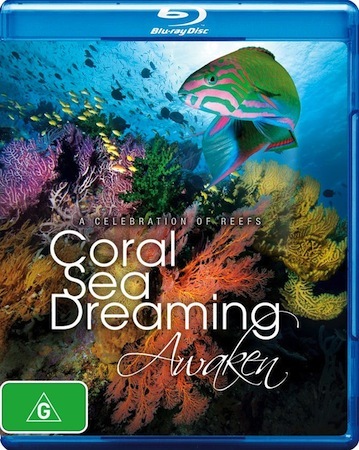 The Blu-Ray Disc features a unique ‘Narration On/Off’ function so viewers can choose either informative narration, or become immersed in natural sounds and an uplifting music score, all presented in 5.1 surround Dolby Digital sound. Six bonus educational video segments complete the package. 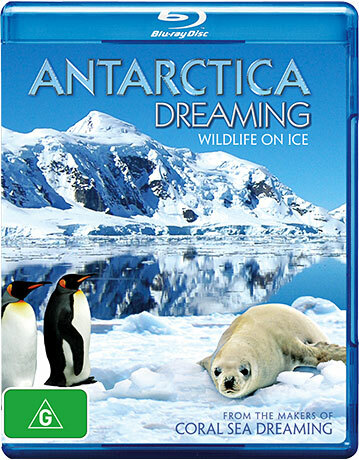 The perfect companion to Coral Sea Dreaming, an exceptional wildlife documentary and a true musical odyssey, the perfect general interest Antarctica movie – still available on Blu-ray Disc. Enjoy the superior image quality of Blu-Ray, even on an UHD screen!